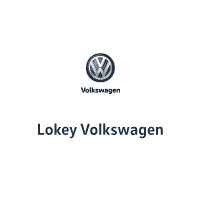 Bring in this coupon and save 10% on any Volkswagen Parts or Accessory at Lokey VW! $42.95 for a Volkswagen Windshield Wiper Blade Kit! Included are OEM Wiper Blades and Windshield Wiper Fluid. Make sure that you can see when you’re coming and going especially with the Florida thunderstorms sure to come this season. Get a rear wiper blade for only $19.95. Shop supplies/taxes not included.